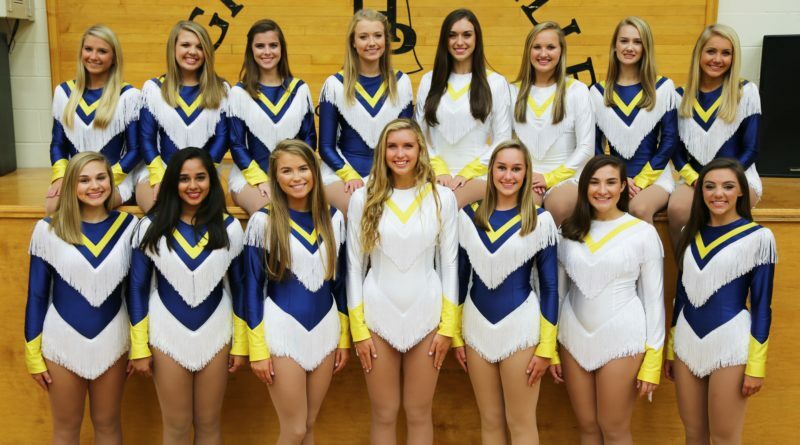 Shannon Phillips, director of Highland Park High School’s award-winning Highland Belles drill team, has announced the 2018–19 honor squads and the selection of Sophie Folts as this year’s Miss High Kick. 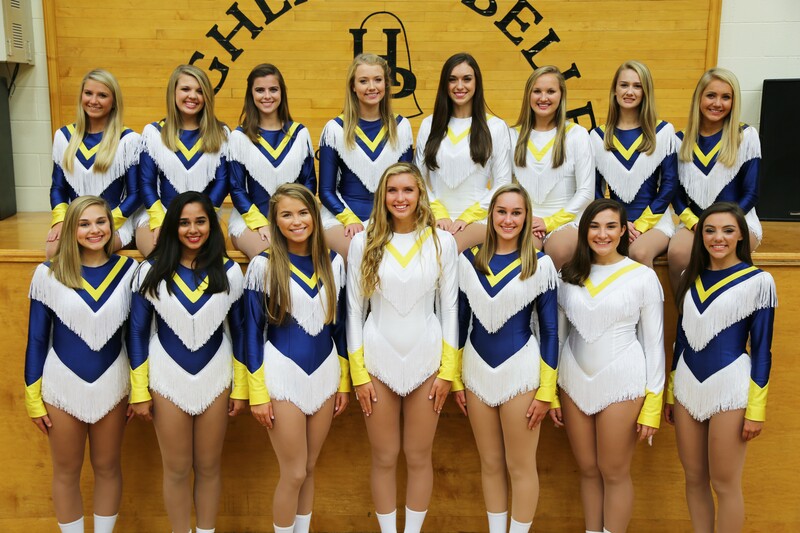 Belles on the honor squads are recognized for their excellence in dance and high kick, explained Tish McFall, who handles media releases for the drill team. The Belles perform in front of a panel of outside judges during two-a-days at the end of the summer. Based on the judges’ scores, a select few are picked to be on these special squads and perform at various pep rallies and competitions. When the outside judges announce Kick Company, they also choose one select Belle from the Kick Company to be Miss High Kick for the year. The fall semester, of course, is a busy time for the Belles with football game performances, the community Black Light Pep Rally on Oct. 25, and the annual Spaghetti Supper and Auction held in conjunction with the first home football game. All 63 members of the award-winning drill team sold Spaghetti Supper tickets and raffle tickets. 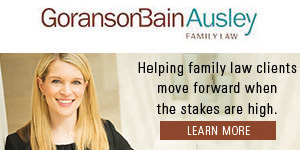 They also solicited underwriting donations. This year’s top sellers: Lauren Pettle, first; Kate Kilpatrick, second, and Meredith Sims, third. 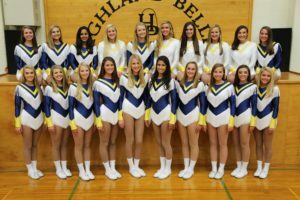 These Highland Belles are on the Kick Company honor squad. FRONT ROW, FROM LEFT: Olivia Pettijohn, Ellie McFarland, Sarah Fielder, Margaret Kemp, Kennedi Feigl, Ava Jahant, Berkley Mason, Elisabeth Wiebe, Olivia Jolas, and Campbell Willis. BACK ROW: Rebecca Greaves, Sophie Folts, Emily Mahmalji, Kate Kilpatrick, Casey Bowden, Grace Dodd, Brooke Marvel, Talle Olsen, Riley Cheek, and Avery Penman.